The terror of mass murder still haunts the Bosnians. The worst crime against humanity and of genocide since the end of the Second World War was committed in Bosnia at the end of the twentieth century. Triggered by the recent arrest of Bosnian Serb General Mladic, I am writing this article lest people forget that episode. Having worked in the World Bank in the eighties on the-then Yugoslavia (consisting of six republics, including Serbia and Bosnia) I was naturally saddened by the protracted civil war engulfing Yugoslavia in the years 1992-95, particularly in the republic of Bosnia Herzegovina. The capture of Mladic, known as the 'Butcher of Bosnia', after 16 years, was a great relief to some of us who have long been waiting for it. When a few days ago I saw on TV a plane finally carrying him from Belgrade to the International War Crimes Tribunal at The Hague, I felt that the cause of justice would be served at long last. The current pro-western Serb government succumbing to the pressure of the European Union and USA decided to capture and hand him over to his prosecutors at The Hague. His superior- poet, psychiatrist and ex-president Radovan Karadiz of the Bosnian Serbs, has been there since 2008 undergoing trial for war crimes. Mladic is accused of carrying on a ruthless war in violation of the rules of war and humanity and particularly of ordering the cold-blooded murder of 8000 Muslim men and young boys in Srebinica, where they had taken refuge under UN protection and guarded by Dutch troops. Mladic was present there, and TV clips show him patting the boys, assuring them that everything would be alright and then at the next moment callously sending them to death in a nearby forest. 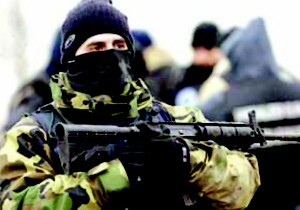 publicly shooting the Bosnian muslims. Bosnia had a Muslim majority (44 percent) but the Serbs had a significantly large presence (31 percent). In Bosnian areas adjoining the republic of Croatia, there was also a Croat population (17 percent). In 1992, Bosnia seceded from the Yugoslav federation, which was dominated by the Serbs and became independent. This was strongly opposed by the Bosnian Serbs as well as by the government of Serbia. A long brutal civil war followed between the Bosnian Muslims and the local Serbs who were mostly orthodox Christian. The latter, heavily aided by Serbia's financial resources and armed forces under president Slobodan Milosevic, formed their own government and named it Republika Srpska. Vast majority of The Bosnian Muslims were ethnically Serbs, who converted to Islam during the long 500 years of Turkish rule in Bosnia. The Serbs, however, treated them as Turks, though there were many inter-marriages between the Muslims and the Serbs. During numerous visits to the beautiful old city of Sarajevo and the picturesque interior areas and the single-span 16th century old Mostar Bridge (now a UNESCO World Heritage Site) built by the Turks over a ninety feet deep gorge in the Neretva River in southern Bosnia, I developed a special attachment for Bosnia and its people. Unfortunately, the Bridge was destroyed during the war (it was later rebuilt with international assistance). Sarajevo is the city where the 1986 Winter Olympics were held. Staying in the Moscova Hotel, next to the old Turkish Bazaar with antique shops and restaurants serving fine food of kebas, chicken-ala-Kiev and many kinds of sweet Baklavas and a mosque and a Muslim graveyard, we were awakened early in the morning by the Azaan on loudspeakers for the Fazar prayers. Mainly Muslim in character and architecture, Sarajevo also had a cosmopolitan culture and outlook. Sadly, its 300 year old library and many other historical buildings and mosques were systematically destroyed by Serb artillery and bombardment. The brutality of the long Bosnian civil war during 1992-95 and especially the 44-months' siege of Sarajevo could be seen daily on TV all over the world. Seeing the Serbs perched on windows shooting the Muslims while they crossed a street named 'sniper's lane' gave us nightmares. 10,000 people died during that siege. Bosnian winter is very harsh and due to the energy supplies and roads being cut off, people had to burn their furniture and even books to somehow keep warm. The Serbs, in order to preserve the so-called purity of the Serbian race, unleashed atrocities in the name of 'ethnic cleansing'. This resulted in the killing of 9,7000 and displacement of 2 million innocent civilians. 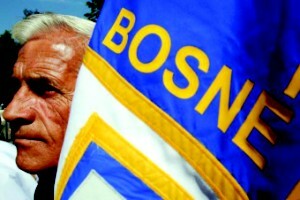 The terrible suffering of the Bosnian people shocked the Americans, Europeans and many people the world over. It should be mentioned that there were some allegations of crime by the Muslims on the Serbs, too. In the end, US and European pressures during the presidency of Bill Clinton compelled the Serbian president Milosevic to stop the civil war. This allowed the Bosnian Muslims and Croats to settle their affairs under UN supervision. It should also be mentioned that Milosevic, who was the patron of Karadic and Mladic, was equally guilty of war crimes and crimes against humanity. Milosevic was later handed over to the tribunal at The Hague by the Serbian Government but died there in 2006 during his long trial.